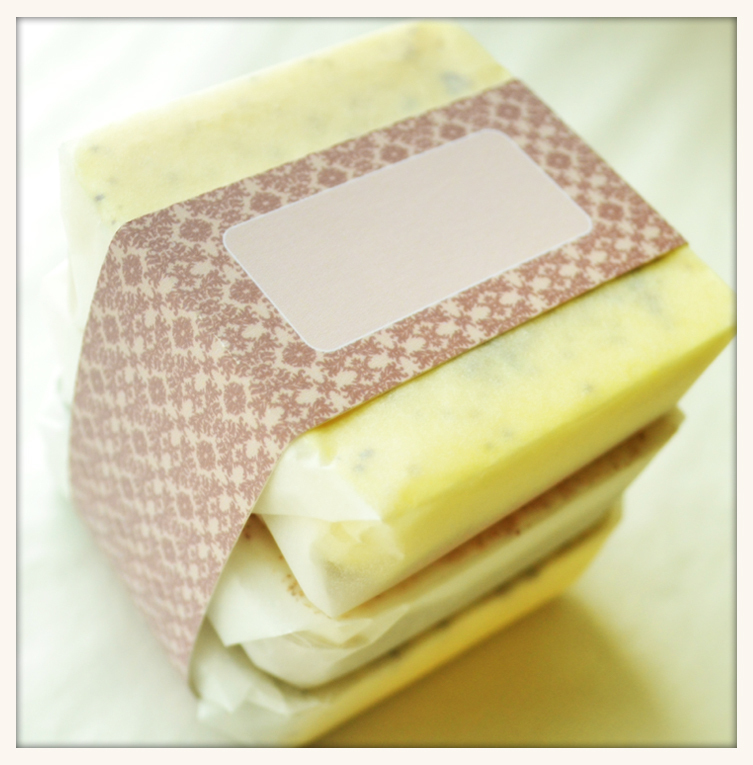 As if designing day and night weren't enough to fuel my "design fire," I also recently took up soap making. Not only does it allow me time away from the computer, but it also allows me the opportunity to stimluate my other senses. I can create something both visually satisfying and olfactorily-fascinating. I just coined that term—I'm pretty sure it won't show up in the dictionary just yet. Give it time. In any case, I wanted to share some of the soaps (and subsequent packaging which i simply had to create for them). I'm only sorry you can't smell them from here.